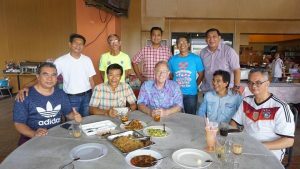 DAPHNE, Ala. – Long-time United States Sports Academy faculty member Dr. James E. Thoma recently reunited with athletes and students he coached and taught more than 30 years ago through the Academy’s international sport education programs in Malaysia and Brunei. Following his assignments in Southeast Asia, Thoma served as the Academy’s chair of sports coaching and chair of sports management during the late 1980s and has served on the National Faculty (NAFAC) for more than three decades. 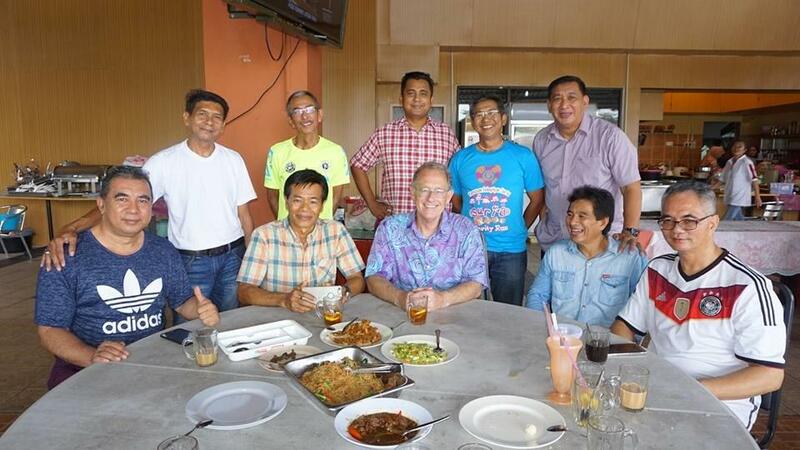 Dr. James E. Thoma, seated center, reunites with students and athletes he taught and coached more than three decades ago through the United States Sports Academy’s programs in Sabah, Malaysia.  The Academy has been active in sport education programs in Southeast Asia for more than four decades. 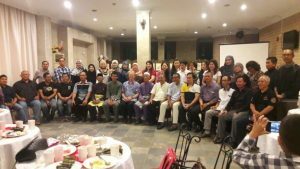 The Academy provided a team of coaches and other sport specialists to develop the State-wide sports efforts on the island of Borneo in conjunction with the Malaysia-Sabah Foundation from 1984-1987. The team consisted of four coaches and a sports medicine specialist. Concurrently the Academy delivered its International Certification in Sports Coaching (ICSC) and Sports Management (ICSM) programs to help prepare Sabahans to assume sport leadership roles in the State. At the same time, from 1984 to 1987, the Academy provided similar sport development programs in the nation of Brunei Darussalam, also located on the island of Borneo. 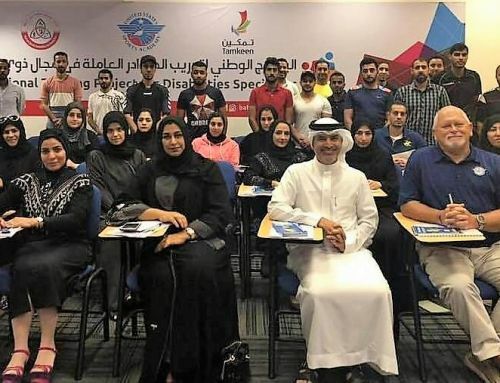 The Academy worked closely with the Ministry of Culture, Youth and Sport in providing six coaches to work with national sports teams. The Academy also taught its ICSC and ICSM programs in Bandar Seri Begawan to help prepare Bruneians for careers in sports. Thoma, seated center in blue shirt, reunites with students and athletes he taught and coached more than three decades ago through the Academy’s programs in Brunei. Thoma served as sports administrator, project director and state track coach for USSA-Sabah, Malaysia. He then served as sports administrator and national track coach for USSA-Brunei Darussalam. He recently reunited with students and athletes he met through both assignments more than three decades ago. As a member of the Academy’s NAFAC, Thoma most recently taught for the Academy in Shanghai, China, in the International Sports Diploma program delivered to the Shanghai Administration of Sports (SAS) in 2014. Thoma is currently director of the Sports Business program at Mount Union University in Alliance, Ohio. He holds both a Ph.D. degree in sport science and an M.A. in sport management from The Ohio State University. He earned a B.S. 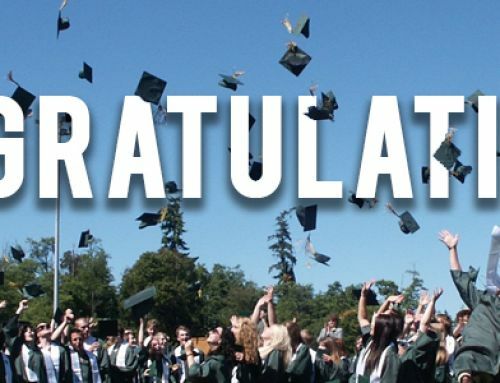 degree in metallurgical engineering from Grove City (Pa.) College. more than 65 countries around the globe.